Kansas does not have an estate tax, but residents of the Sunflower State may have to pay a federal estate tax if their estate is of sufficient size. This guide walks Kansans who are starting to think about estate planning through what they need to know to protect their legacy after they pass. Planning an estate isn’t easy, though, so it might make sense to get help. SmartAsset makes it easy to find a financial advisor with our free financial advisor matching service. 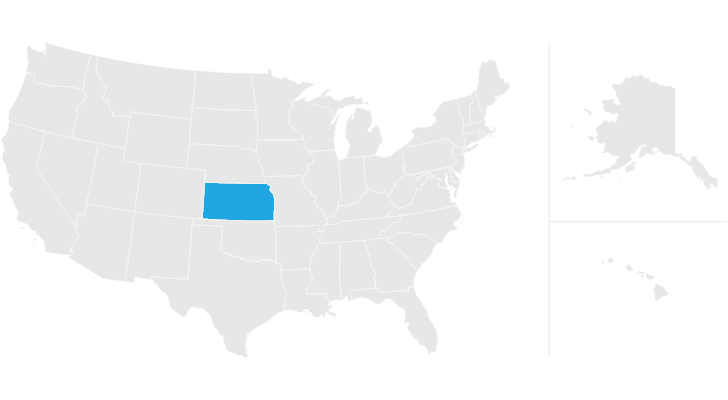 Kansas does not levy an estate tax, making it one of 38 states without an estate tax. Sometimes called the “death tax,” the estate tax is a tax levied on the estate of a person who has recently died. The estate tax applies before the estate is dispersed to a person’s heirs. Only estates containing assets surpassing a certain threshold — which varies from state to state — are subject to the estate tax. The estate tax is not to be confused with the inheritance tax, which is a different tax. The inheritance tax applies to money or assets after they are already passed on to a person’s heirs. Beneficiaries are responsible for paying the inheritance tax on what they inherit. Kansas has no inheritance tax either. Another state’s inheritance laws may apply, however, if you inherit money or assets from someone who lived in another state. In Pennsylvania, for instance, the inheritance tax applies to anyone inheriting property from a Pennsylvania resident, even if the inheritor lives in another state. If someone from out of state leaves you something from their estate, check local laws to make sure you don’t end up missing a tax payment you owe. Kansas has no gift tax. The exemption for the federal gift tax is $15,000 per year per gift recipient. If you give one person more than $15,000 in a year, you must file the gift with the IRS. The excess amount counts against your lifetime gift tax exemption of $11.18 million, as well as your federal estate tax exemption. The federal estate tax may still apply to Kansas residents even though the state does not have its own estate tax. The federal estate tax exemption is $11.18 million, a number that went up when President Trump signed the new tax bill in 2017. This exemption is portable for married couples, so a married couple can protect up to $22.36 million of their estate with the right legal maneuvers. The estate tax is levied on estates that are worth more than the exemption. The progressive tax has a top rate of 40%. A full table of rates is provided below. This is how it works: Let’s say your estate is worth $20.18 million and you are unmarried. You would subtract the $11.18 million exemption, leaving you with a taxable estate of $9 million. This places your estate in the top tax bracket. You’ll owe a $345,800 base payment on the first $1 million and 40% on the remaining $8 million, which equals $3.20 million. Adding that to your base payment makes for a total estate tax burden of $3,545,800. Kansas’ retirement tax picture is moderately friendly for retirees. The state fully taxes withdrawals from retirement accounts, like 401(k) plans, and income from private and public pension plans. 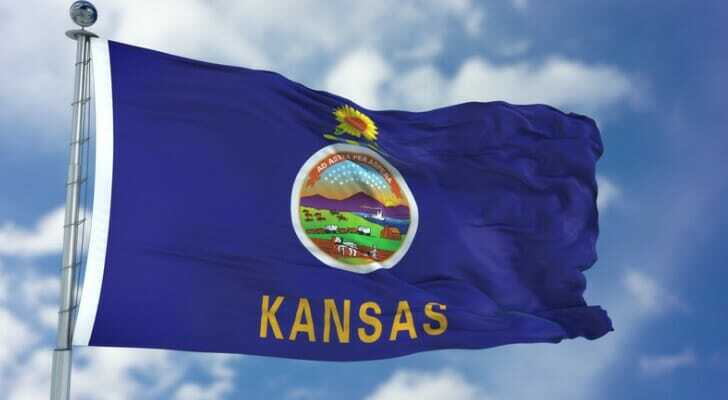 Kansas taxes Social Security income only for those with an Adjusted Gross Income over $75,000. The state has a progressive income tax, with rates ranging from 3.10% to 5.70%. The state has the 15th highest property taxes in the nation, with an average effective rate of 1.40%. Home values tend to be low, though, which minimizes tax bills. The state offers a homestead refund worth up to $700. This is available to homeowners who are over 55 for the entirety of the year in which they apply and who have an income of $34,450 or less. There is also a program called Kansas Property Tax Relief for Low Income Seniors, which refunds 75% of property taxes for those who are at least 65 years old and have a household income of $19,500 or less (in 2017). The statewide sales tax rate in Kansas is 6.50%. With city and county taxes, the average sales tax rate is 8.62% and can climb over 9%. You may want help planning your estate, and SmartAsset can help you find it with our free financial advisor matching service. You answer a few questions. Then we match you with up to three financial advisors in your area, all fully vetted and free of disclosures. Then you can talk with each advisor to see if one of them seems like a good fit for you. One common will-writing mistake is to forget to update your will. Things change, whether it’s getting married, having children, getting divorced or inheriting money. Make sure you periodically update your will to take all of these changes into account.